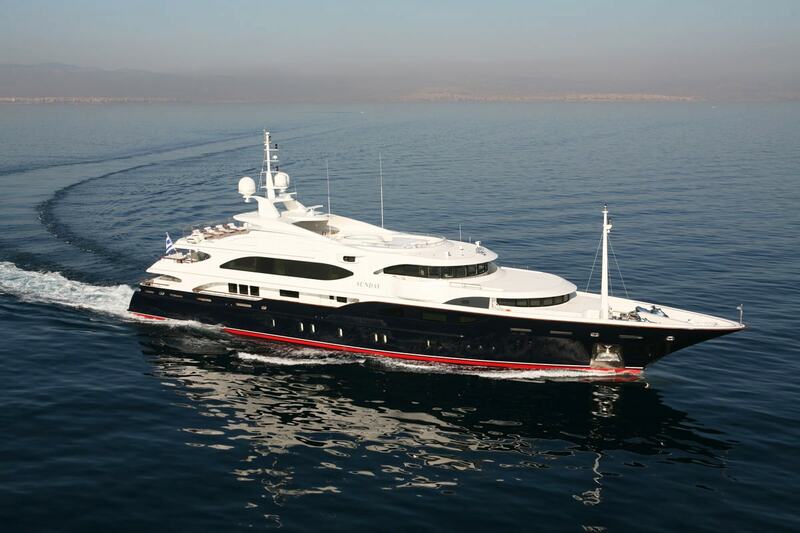 SUNDAY is a 58.60m (192.26 ft) built by Benetti in 2006. 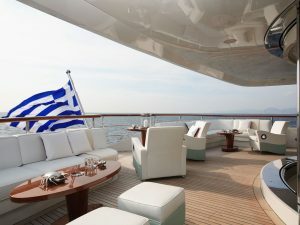 Her exterior design and styling is by Stefano Natucci and luxurious interiors by Sophocle Emmanoulidis and studio IPSO. 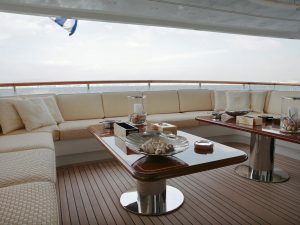 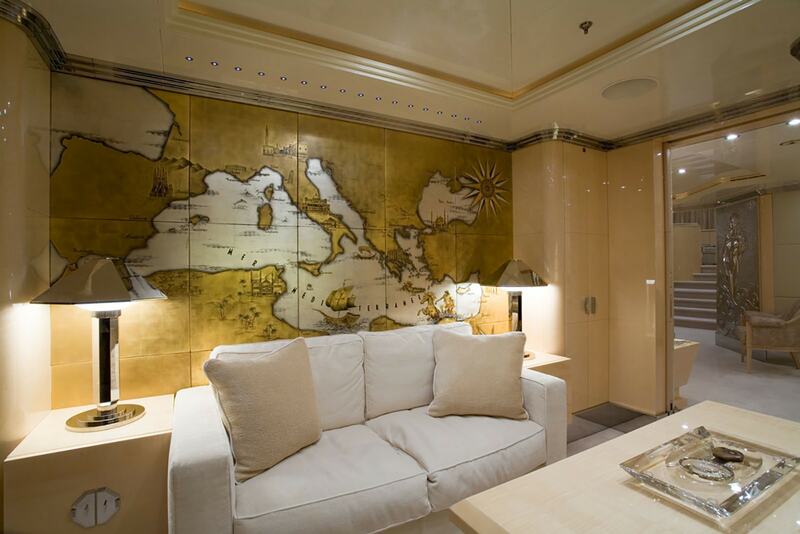 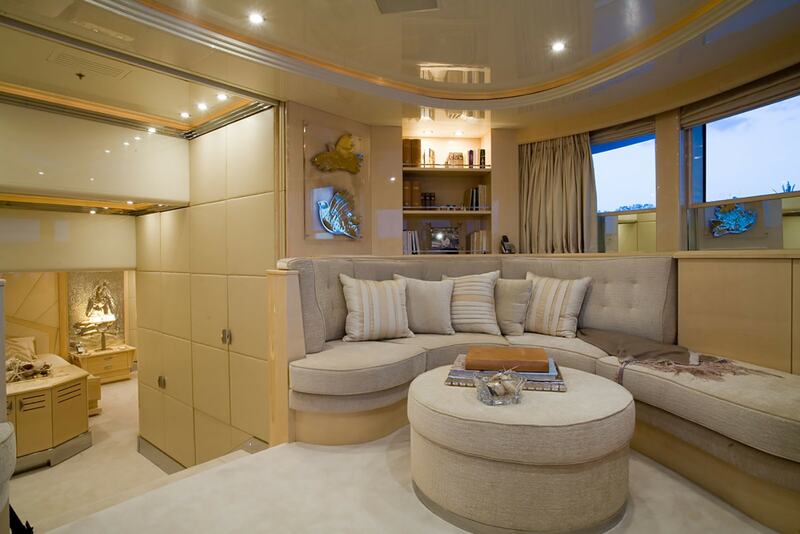 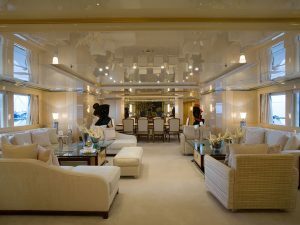 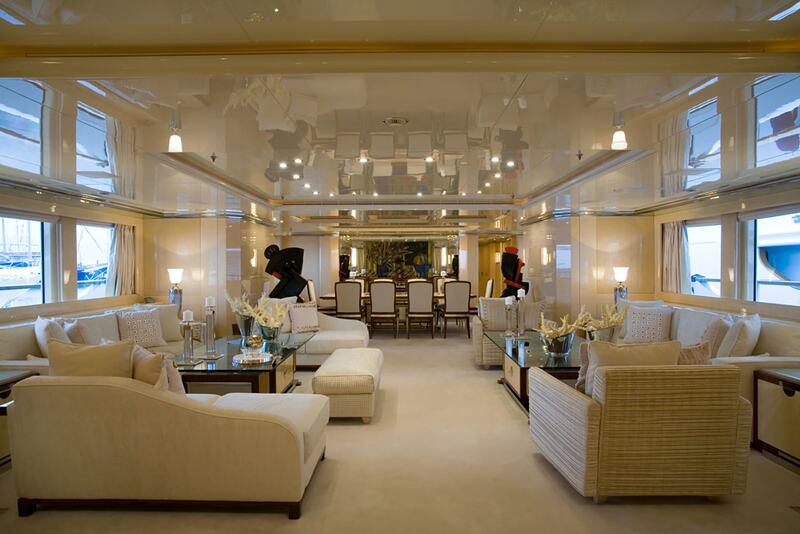 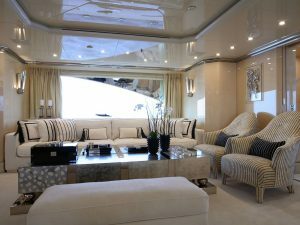 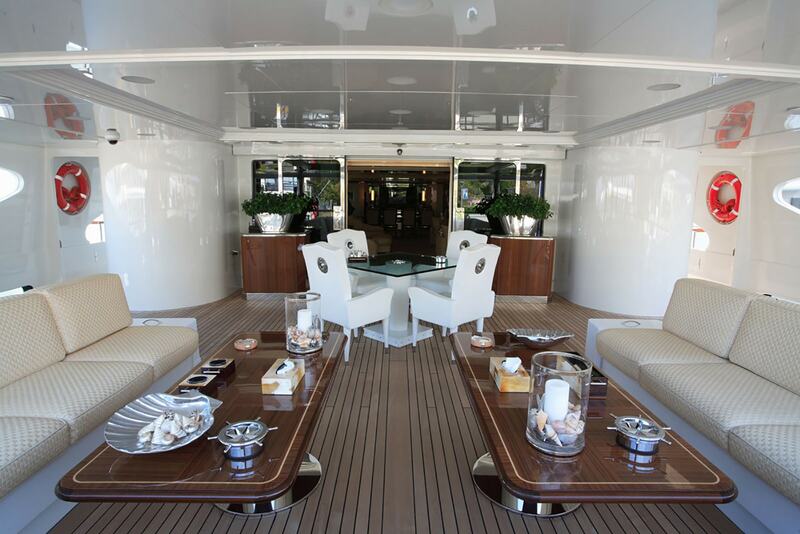 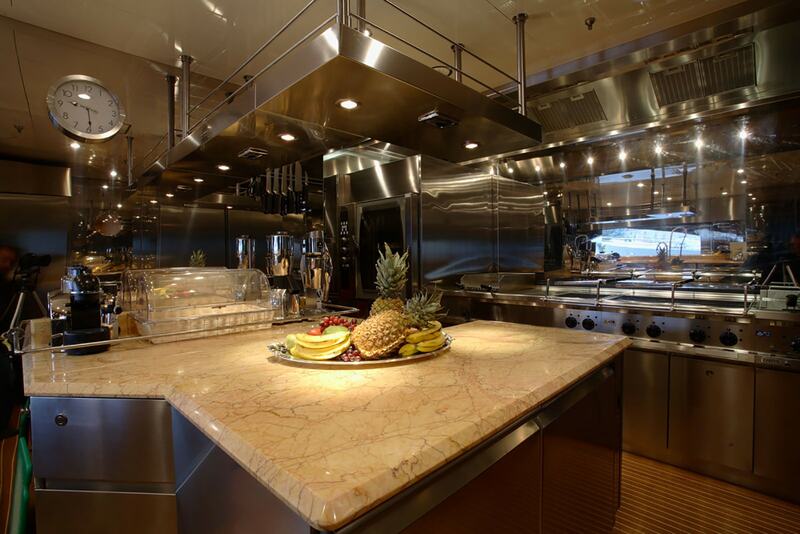 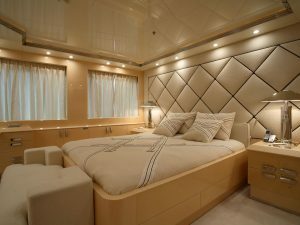 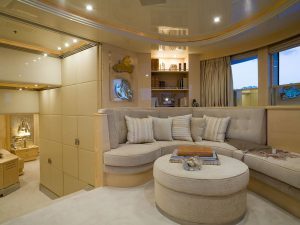 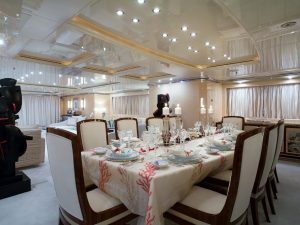 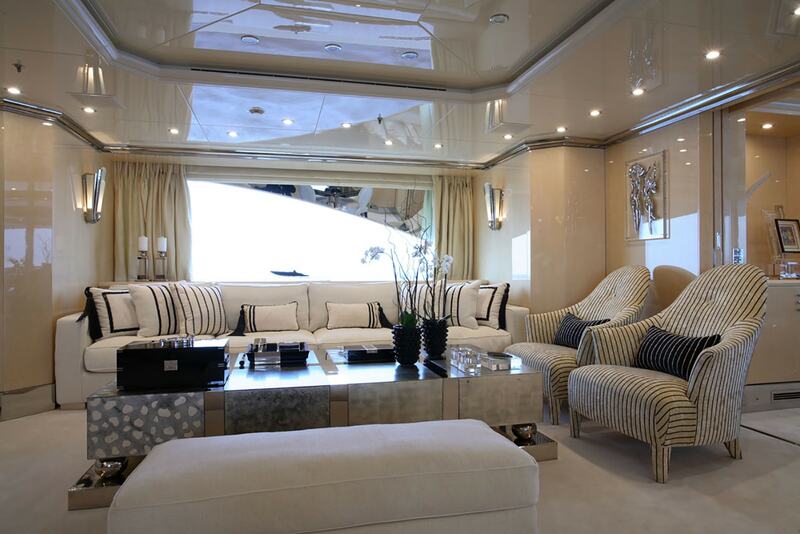 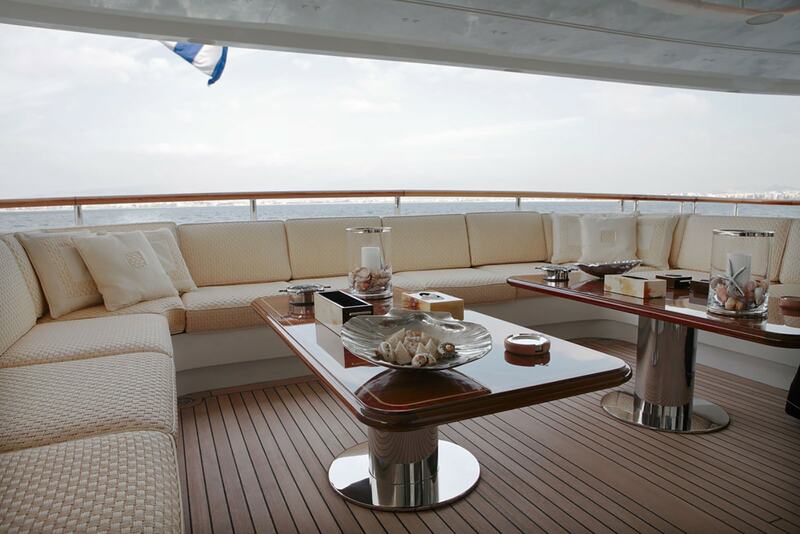 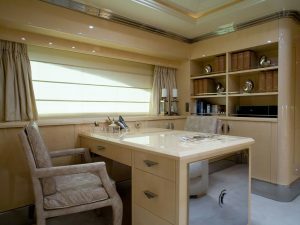 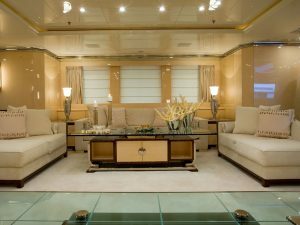 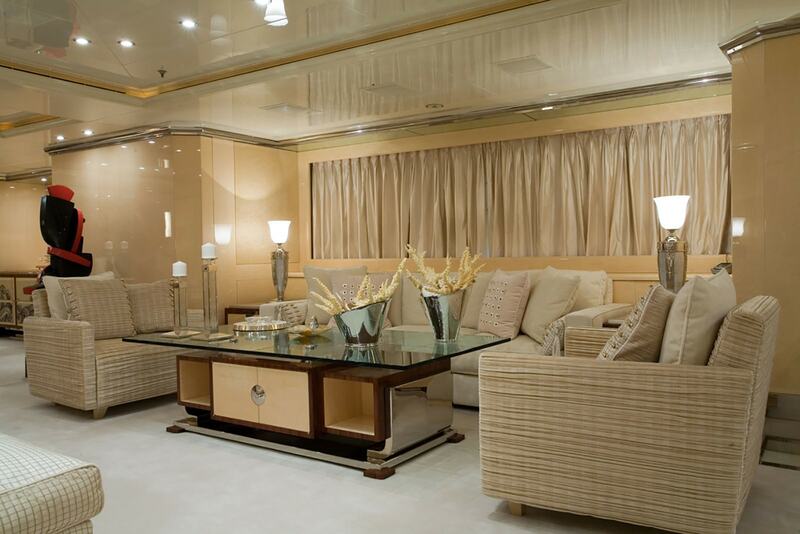 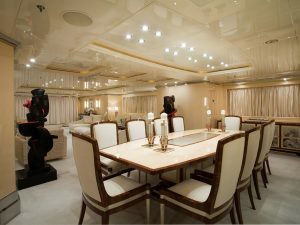 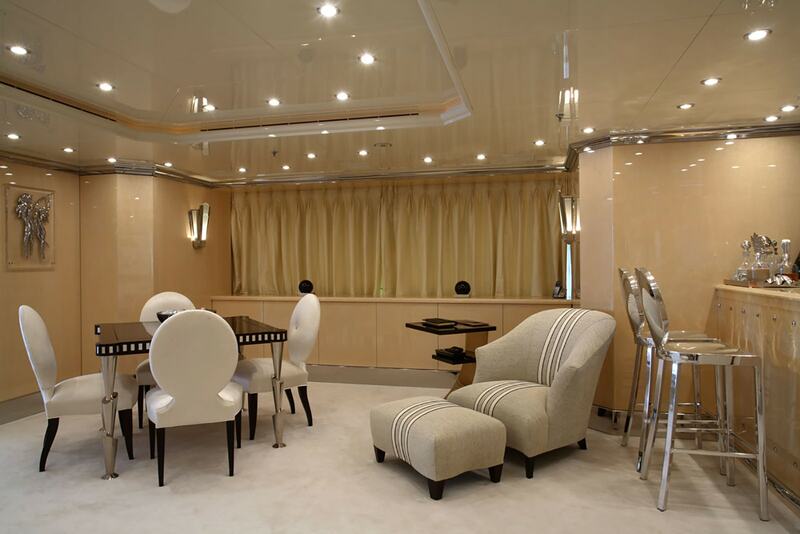 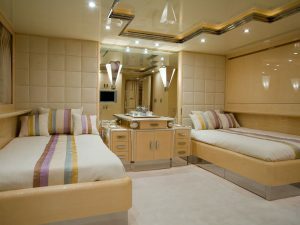 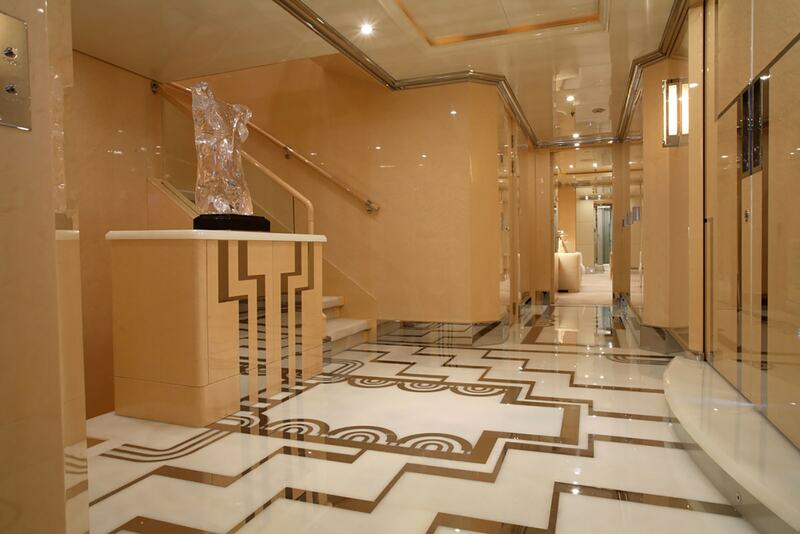 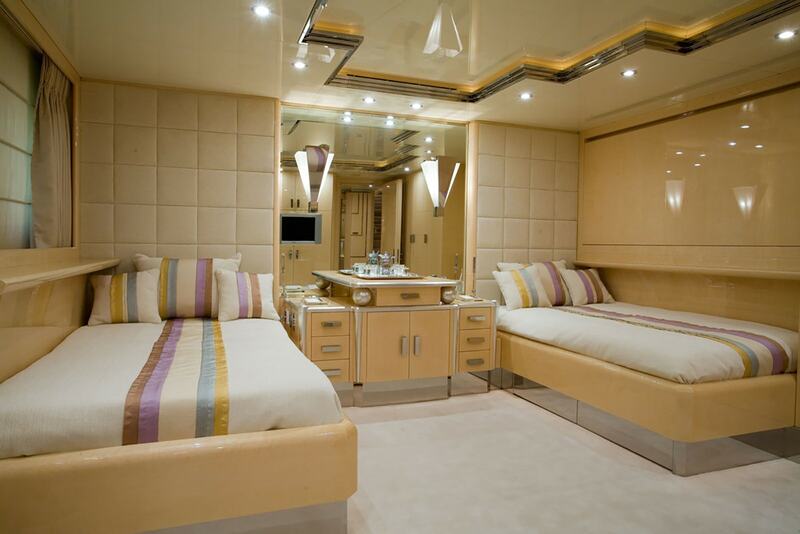 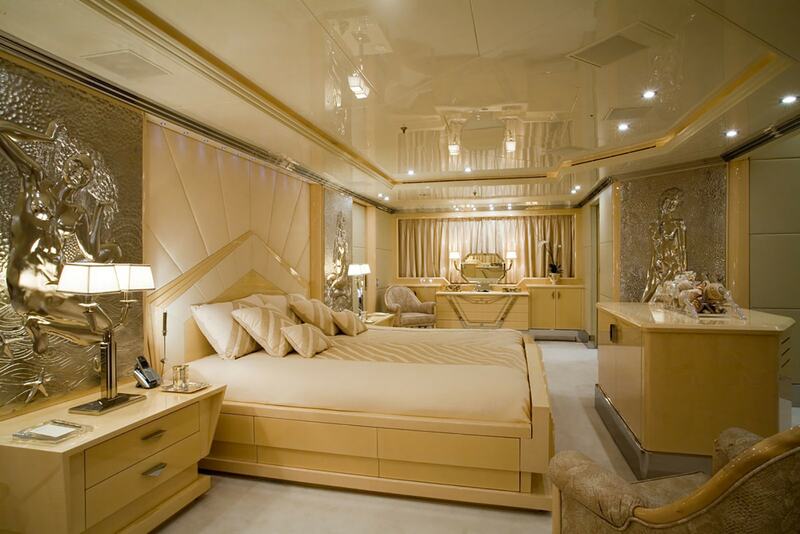 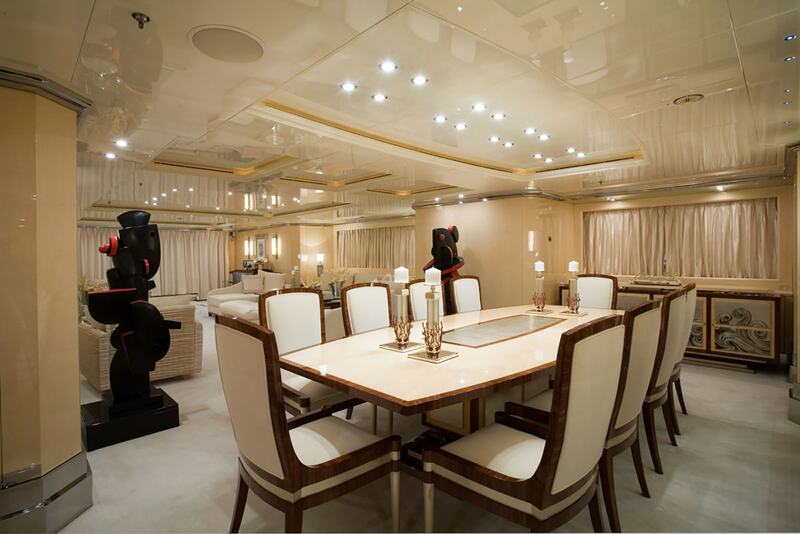 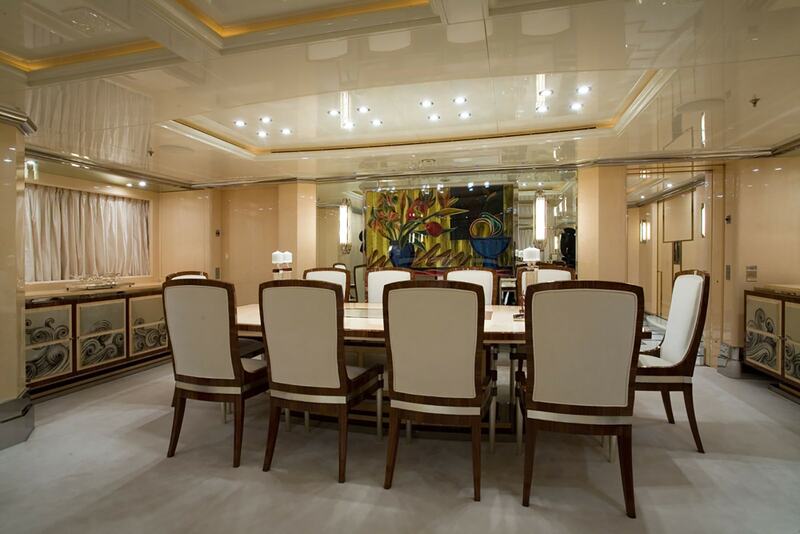 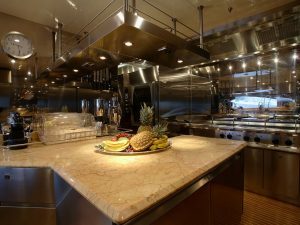 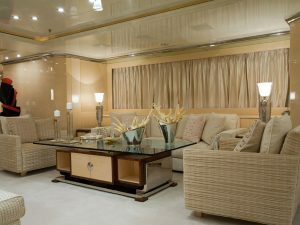 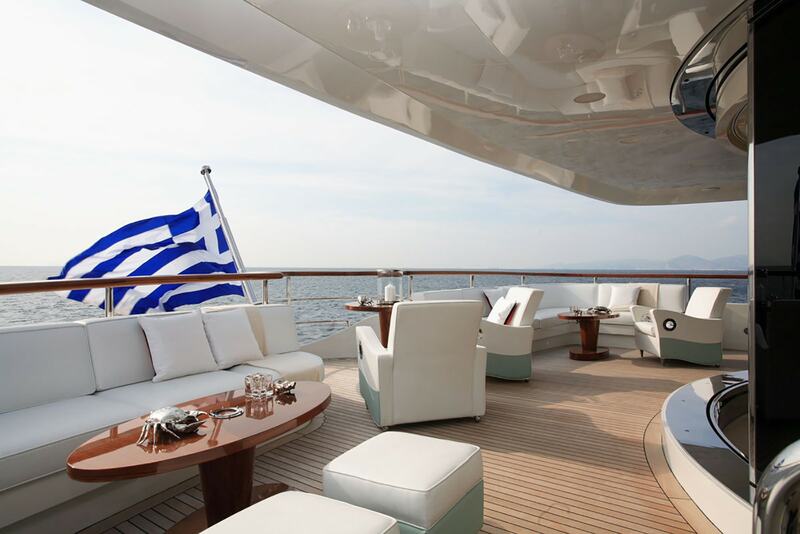 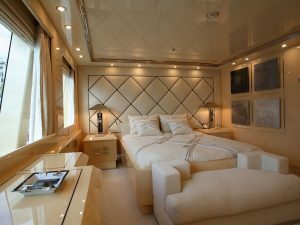 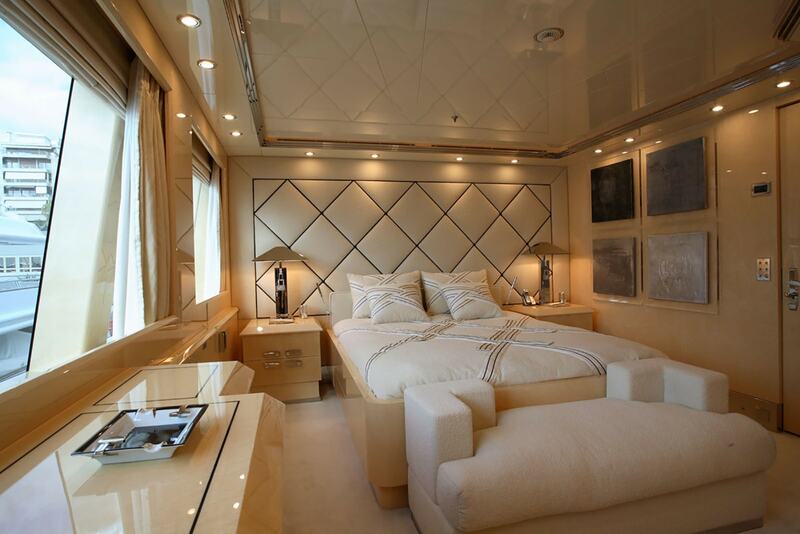 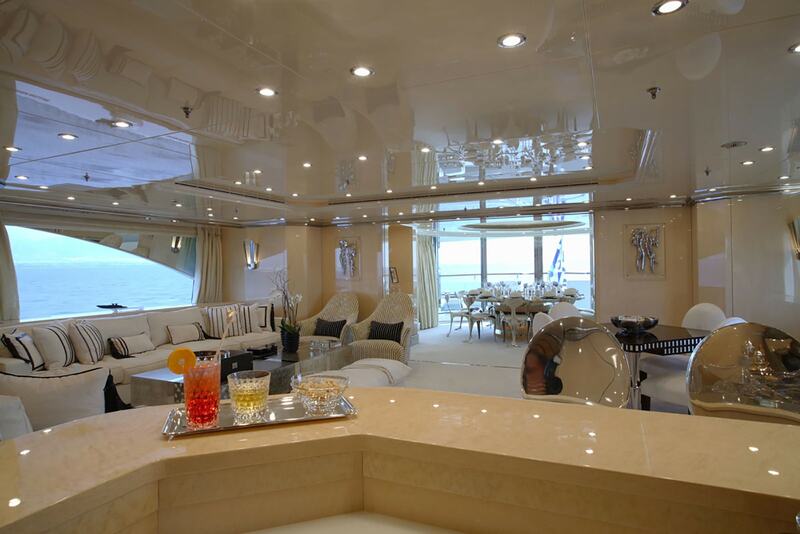 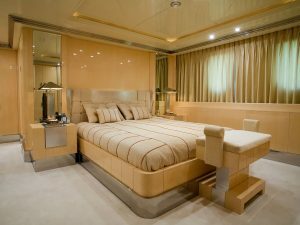 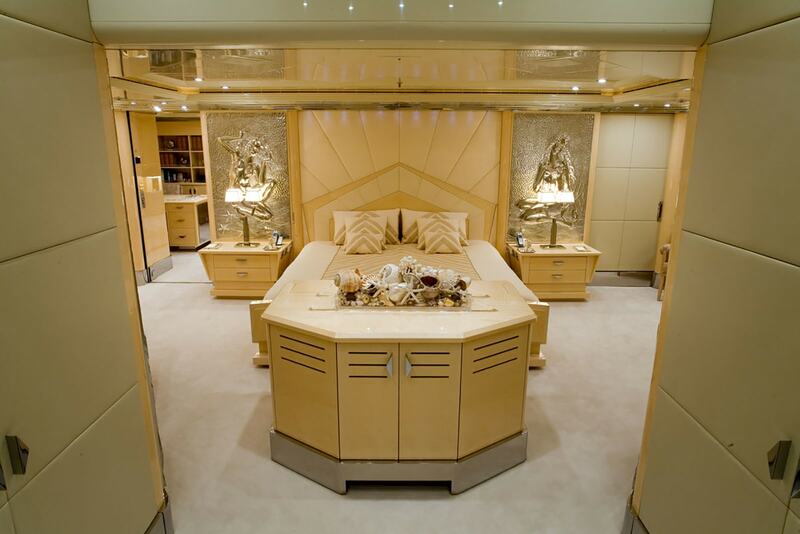 M/Y SUNDAY‘s interior is spacious, radiating warmth, elegance and style. 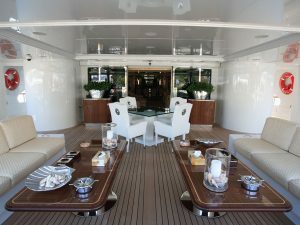 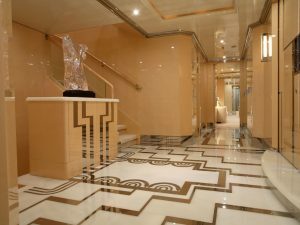 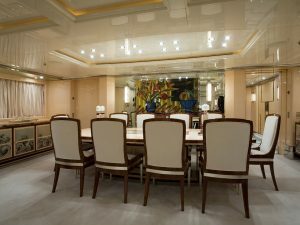 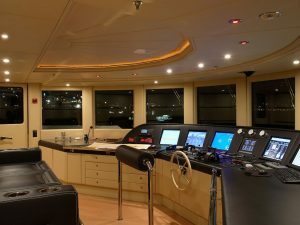 On the main deck, ther is a comfortable and elegant salon and on the upper deck there is another one salon, offering wonderful areas for relaxation or socialising. 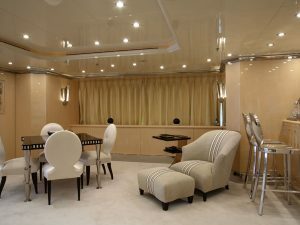 In the main salon there are comfortable sofas and armchairs for guests to unwind and relax. 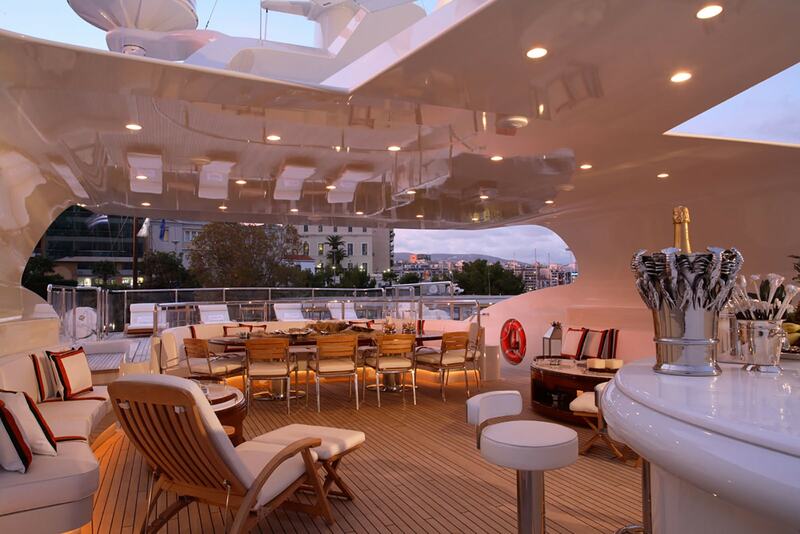 The upper deck salon boasts metal stools around the bar area within easy reach of a flip-top gaming table and four chairs. 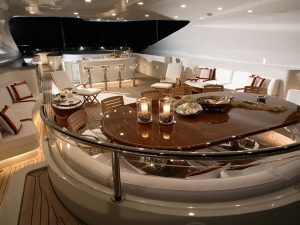 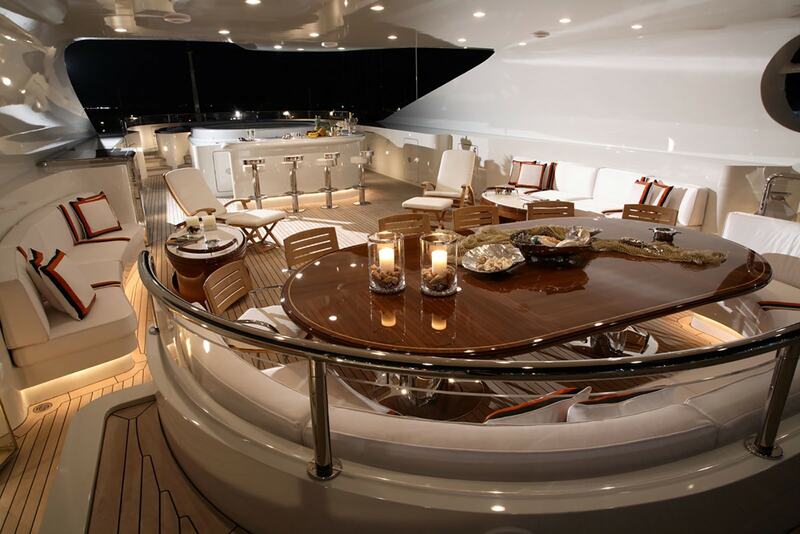 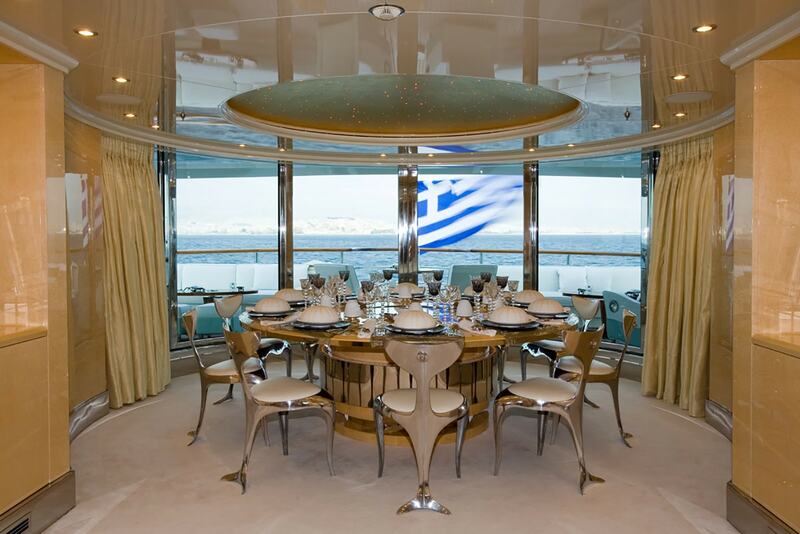 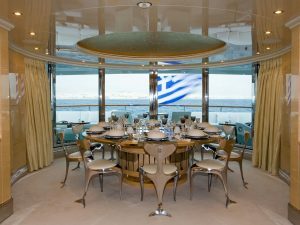 Six curved glass doors retract fully to provide easy access to the aft deck and panoramic view for guests dining at the round table. 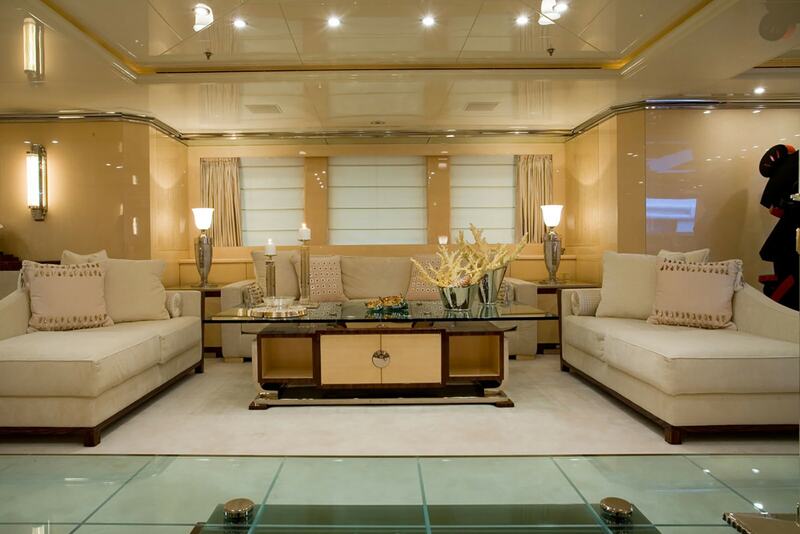 The bridge boastas a massive leather couch, where its guests, can enjoy the view. 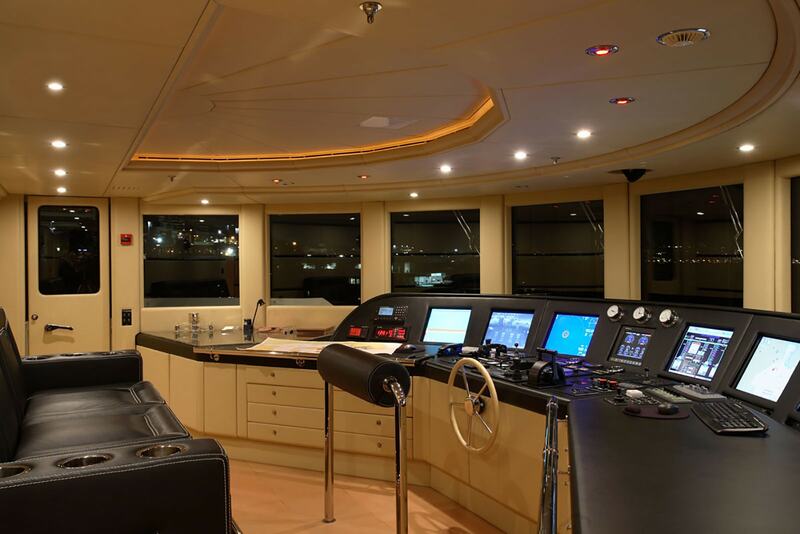 Security measures controlled from the bridge are impressive. 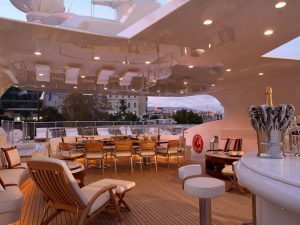 On the sundeck, guests can relax in the Spa Pool next to the spacious sunbathing areas, bar, dining area and lounging area. 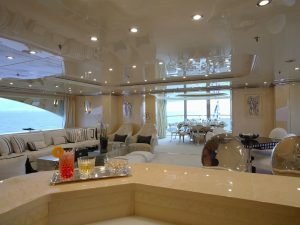 Guests can enjoy their coctails or choosing their own entertainment way. 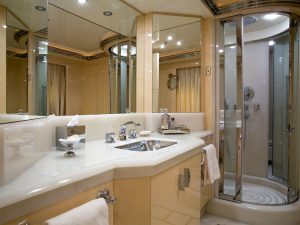 Furthermore, guests can reach the swimming platform along a starboard campanion way from the aft feck and board tenders, swim or other water toys. M/Y SUNDAY accommodates 12 guests in 6 luxury and comfort cabins including a Master stateroom, a VIP stateroom, two double cabins and 2 twin cabins. 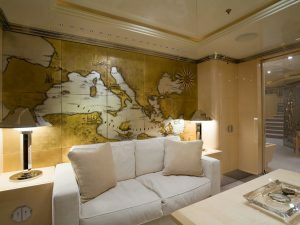 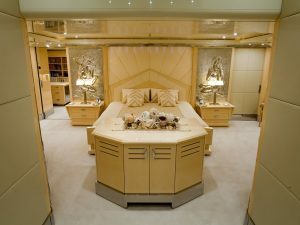 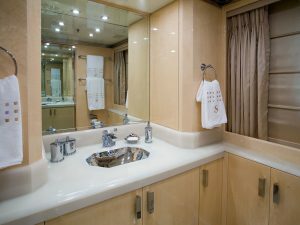 The master stateroom, is located on the main deck, with master study, a king size bed, his and her bathrooms and full beam sitting area. 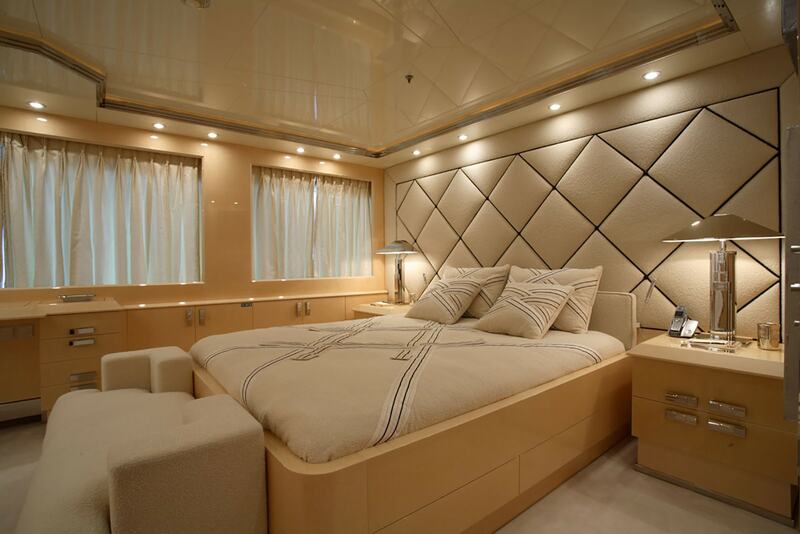 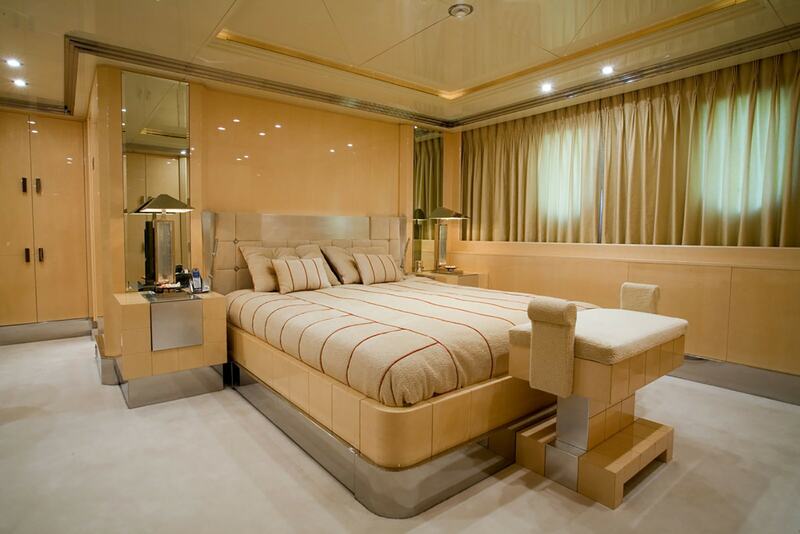 Forward of the upper salon is the VIP stateroom with queen size bed. 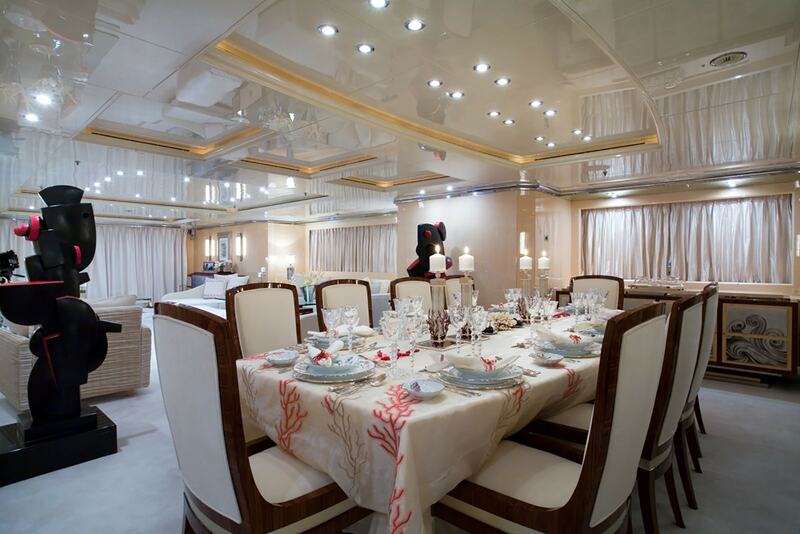 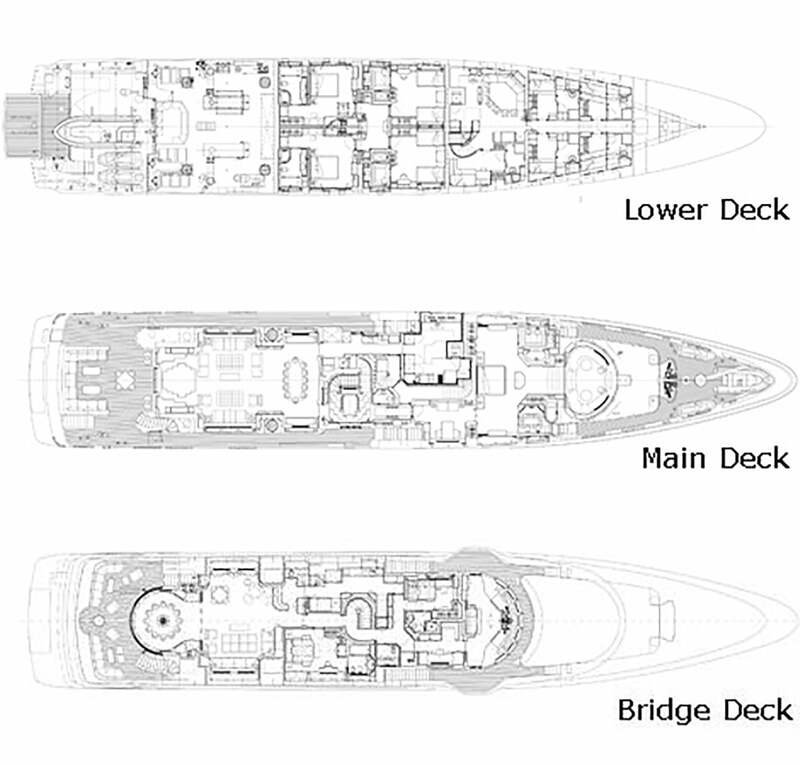 On the lower deck are located the others guests cabins. 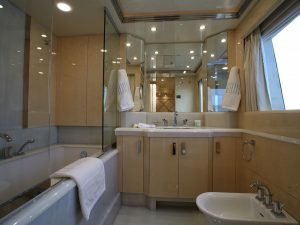 Two double cabins with queen size bed and 2 twin cabins with twin beds plus pullman berth each. 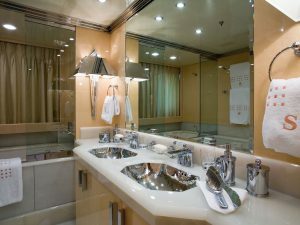 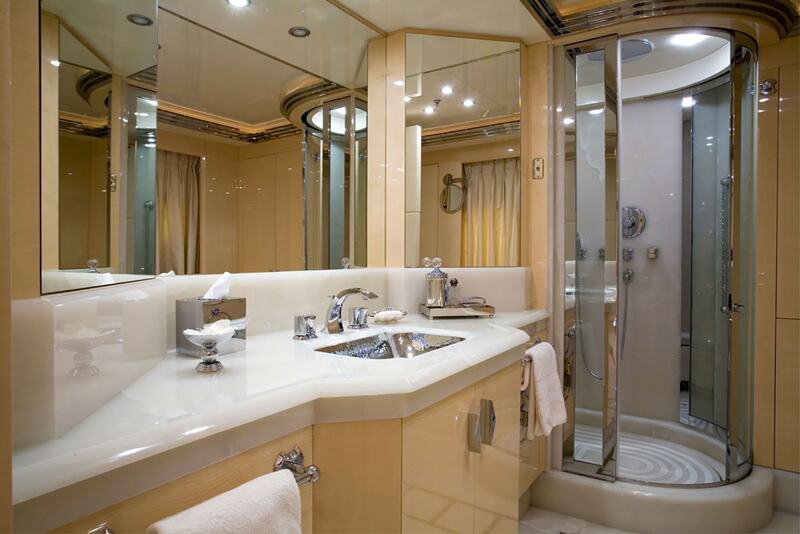 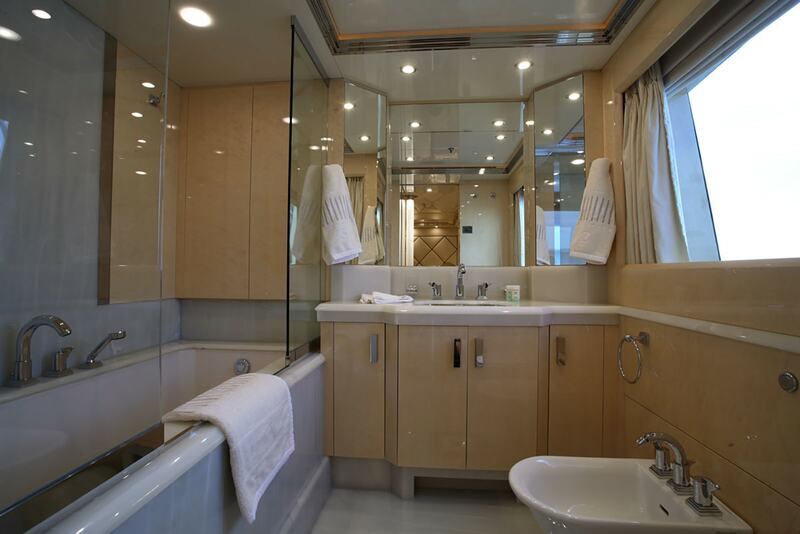 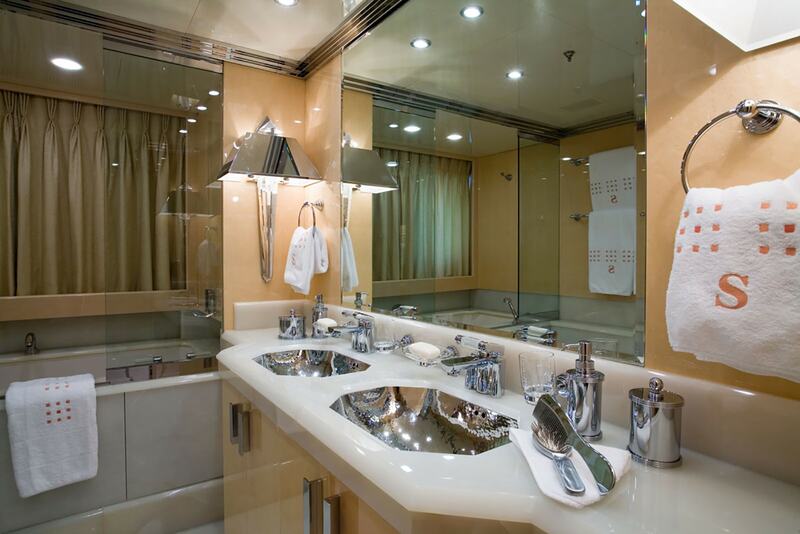 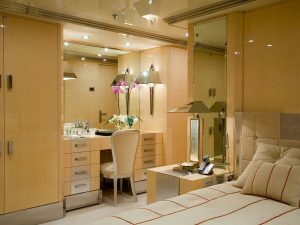 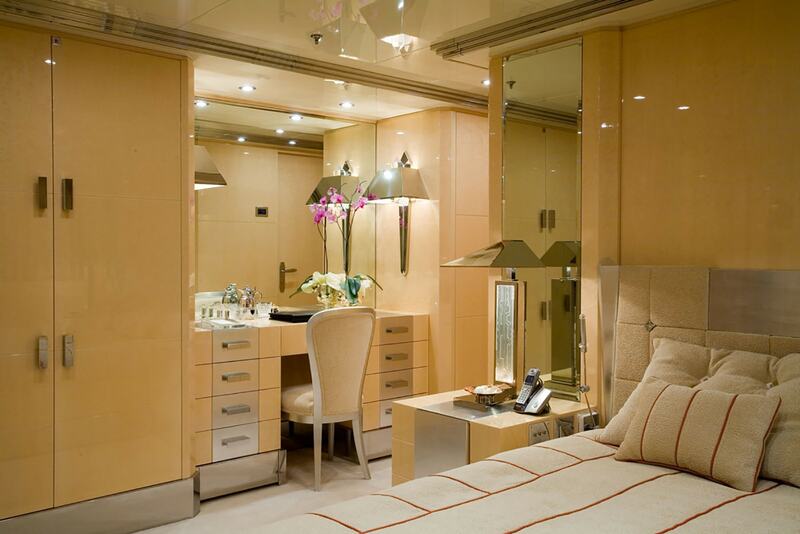 All cabins have their own identity and are all with en suite facilities. 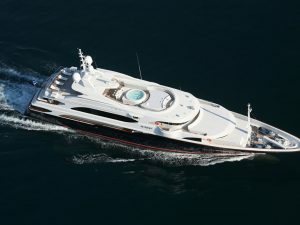 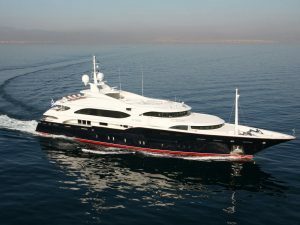 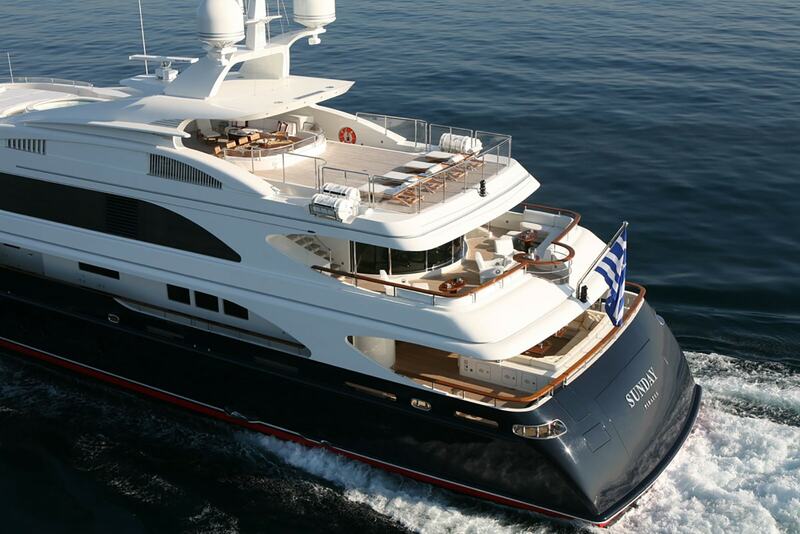 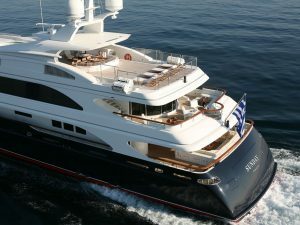 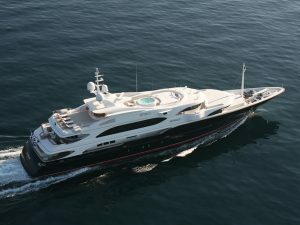 M/Y SUNDAY is your impressive luxury charter yacht!